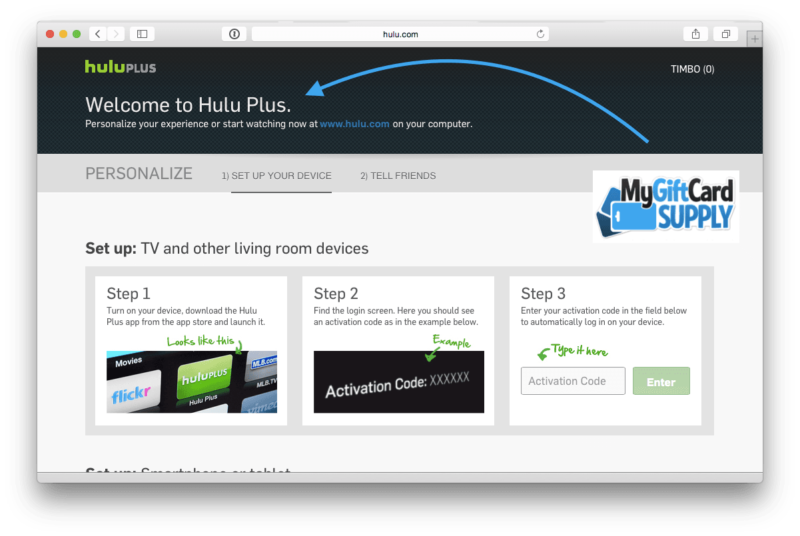 Redeeming your Hulu Plus gift card is an easy process you can complete on your computer from any internet browser. Note: To redeem a Hulu gift card, you must have a Hulu account created already. To take advantage of the streaming service, you will need access to a “VPN” service to make your IP address a U.S. IP. 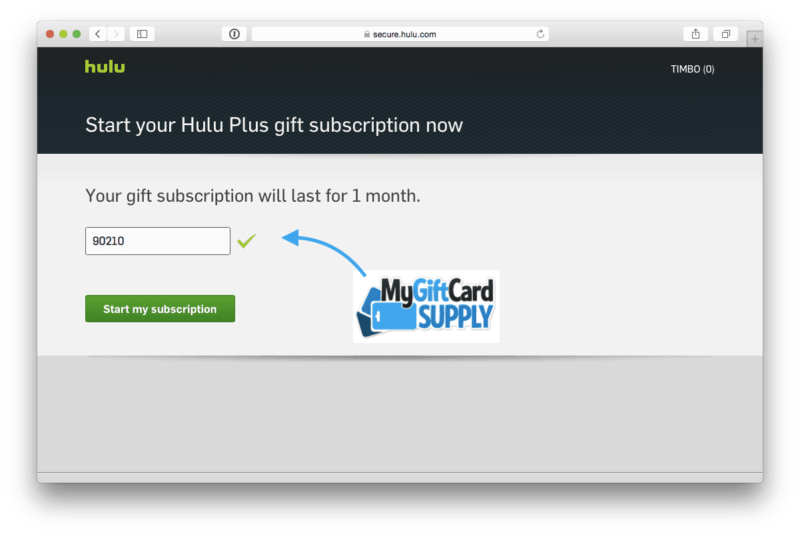 Redeeming your hulu plus gift card needs to be done from a computer via internet browser. STEP 1: Log Out of your Hulu account, and clear your browser’s Cookies and Cache. 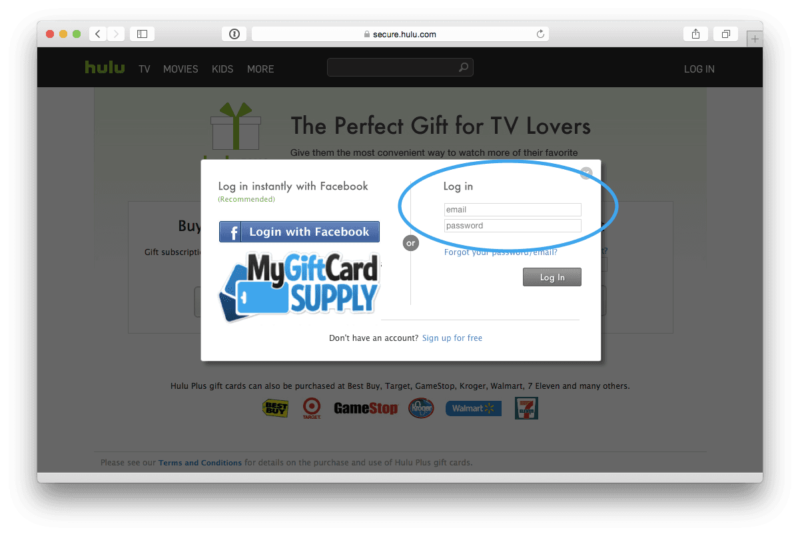 If you’re purchased a Hulu Plus Gift Card from MyGiftCardSupply, this code can be found in your email. A valid US code you could use would be “90210”—but any valid US zip code could be used here. STEP 5. CONGRATS! YOU’VE COMPLETELY REDEEMED YOUR HULU PLUS PRE-PAID GIFT CARD! 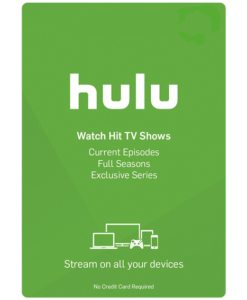 Need a Hulu Gift Card? 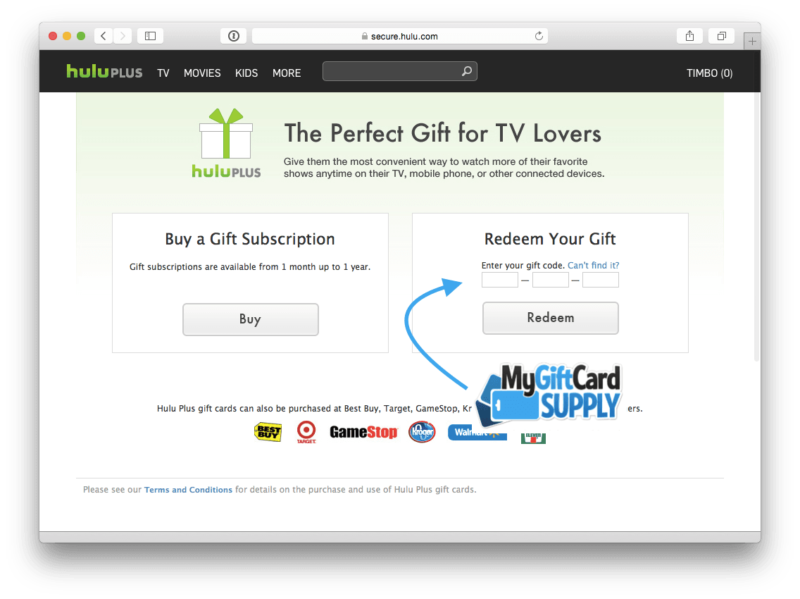 Thanks for checking out our tutorial on redeeming your Hulu gift card! 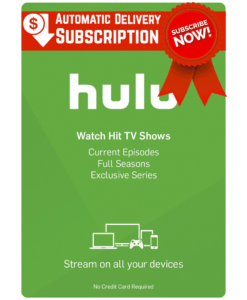 If you need to buy a Hulu gift card please visit our website. We offer fast email delivery on all purchases, to anywhere in the world!